FRANCE: “Runaway consumption” has decimated global wildlife, triggered a mass extinction and exhausted Earth’s capacity to accommodate humanity’s expanding appetites, the global conservation group WWF warned Tuesday. From 1970 to 2014, 60 percent of all animals with a backbone -- fish, birds, amphibians, reptiles and mammals -- were wiped out by human appetites and activity, according WWF’s “Living Planet” report, based on a survey of more than 4,000 species spread over 16,700 populations scattered across the globe. “The only good news is that we know exactly what is happening.” For freshwater fauna, the decline in population over the 44 years monitored was a staggering 80 percent. Regionally, Latin America was hit hardest, seeing a nearly 90 percent loss of wildlife over the same period. Another dataset confirmed the depth of an unfolding mass extinction event, only the sixth in the last half-billion years. Depending on which of Earth’s lifeforms are included, the current rate of species loss is 100 to 1,000 times higher than only a few hundred years ago, when people began to alter Earth’s chemistry and crowd other creatures out of existence. 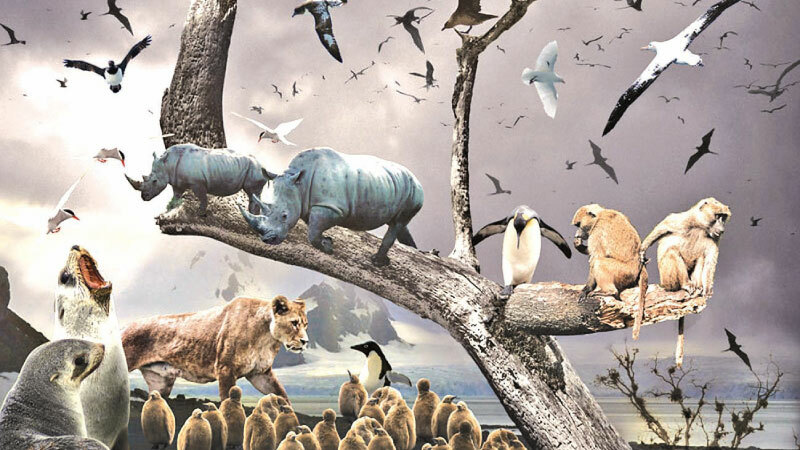 Measured by weight, or biomass, wild animals today only account for four percent of mammals on Earth, with humans (36 percent) and livestock (60 percent) making up the rest. “The statistics are scary,” said Piero Visconti, a researcher at the International Institute for Applied Systems Analysis in Austria and one of 59 co-authors of the 80-page report. “Unlike population declines, extinctions are irreversible.” For corals, it may already be too late.